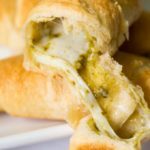 These mozzarella and pesto stuffed crescent rolls are easy to make! Just fill, roll, and bake for a tasty, cheesy bread to accompany your meal. This recipe was sponsored by Pillsbury. All opinions are my own. You might not know this about me, but secretly, I’m a failed hospitality major. It’s true. Long, long ago, before the earth cooled, I signed up for the hospitality management program at a local community college. To this day, I’m not precisely sure what motivated me. Would it be wrong to say that it sounded like fun? The only way I can justify myself is to say that I’ve had a fascination for restaurants and hotels for as long as I can remember. Unfortunately for my future in hospitality, it turned out that I was much more suited to visiting said establishments than running them. So I compromised by pursuing a more suitable line of education whilst working full time at a local theme park. Nowadays, I may not be the professional innkeeper of my fevered, early collegiate imagination, but I can still host a crowd with all the zeal of a dedicated amateur. As a host, I fall somewhere between Captain Ahab and Captain Kangaroo. I run a tight ship, but I like to have fun. In essence, I’m a planner who plans to have fun. 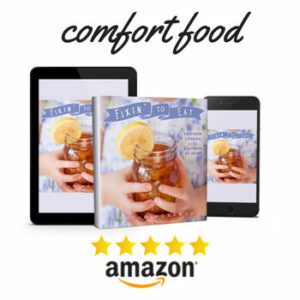 And what’s more fun than planning a baking activity for your guests? 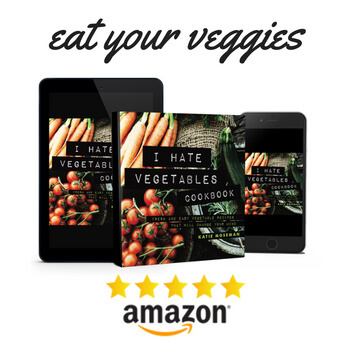 It keeps everyone busy, makes memories, and results in something good to eat. Everyone wins. You might even be considered the originator of a new family tradition! So bake more, with more people—the more the merrier. For these mozzarella and pesto stuffed crescent rolls, I’m using Pillsbury™ Original Crescent Rolls, the 8 ounce package with 8 crescent rolls. 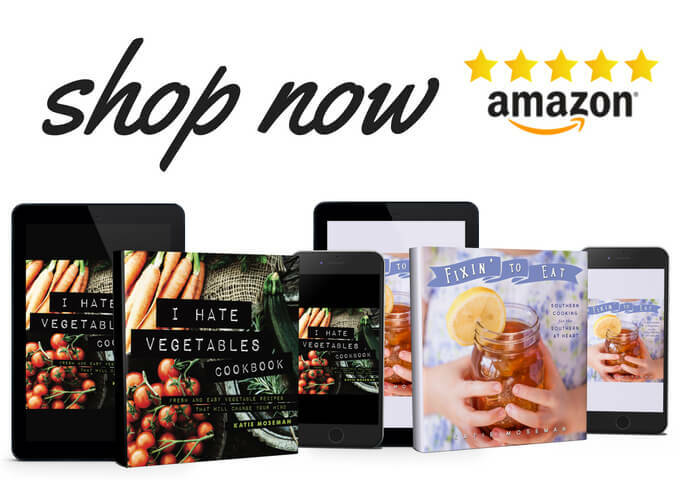 If you’re having a big holiday gathering, pick up several packages from Walmart. This recipe easily doubles or triples. 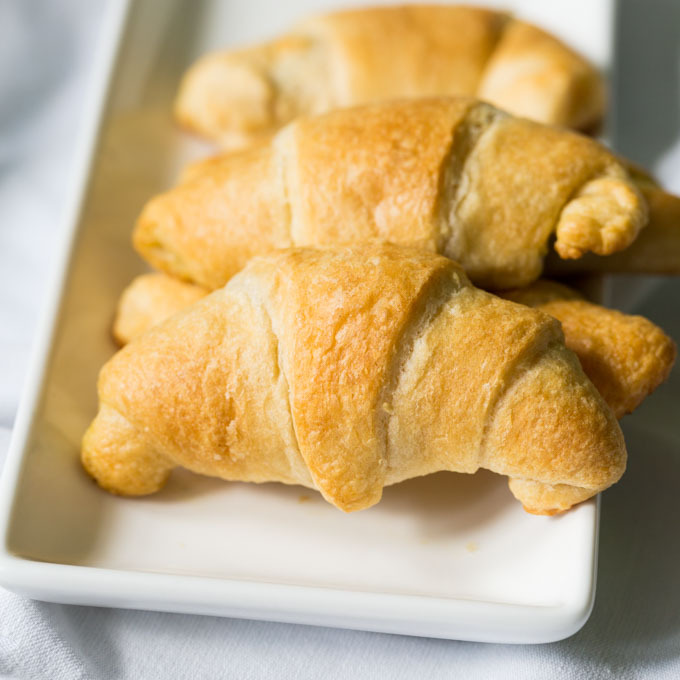 Pillsbury™ Original Crescent Rolls bake up golden brown and perfect every single time. 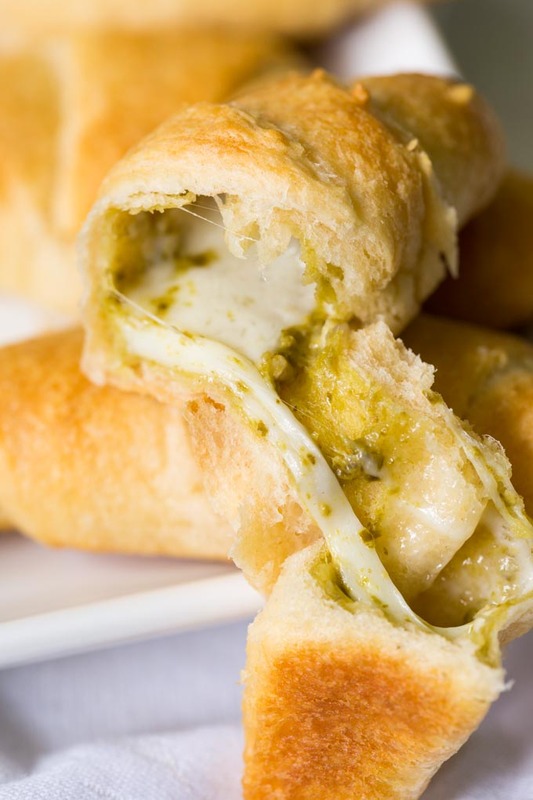 By adding a little dab of pesto and a bit of mozzarella to the interior of each roll, you’ll elevate your bread basket to the heights of cheesy perfection. Now that’s what I call hospitality. If you’re the creative type, try swapping out different sauces and cheeses for the pesto or mozzarella. 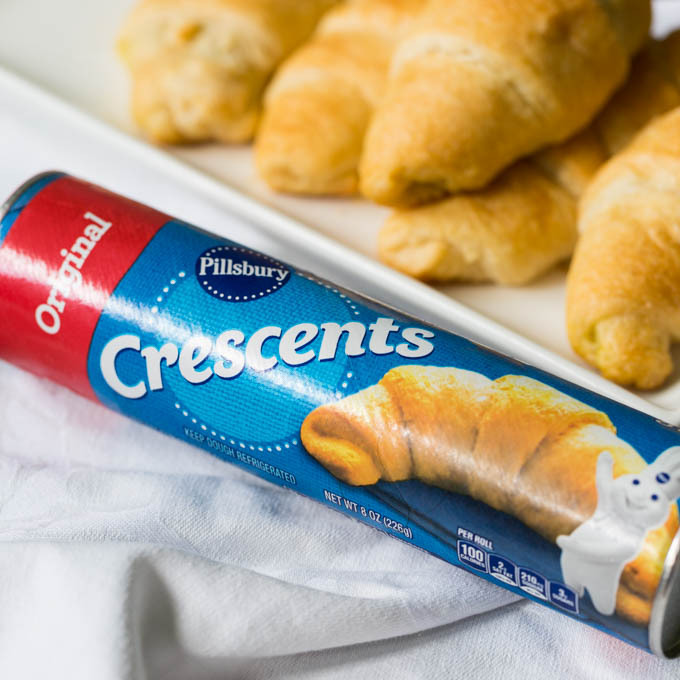 Watch the video to see how to make the mozzarella and pesto stuffed crescent rolls using Pillsbury™ Original Crescent Rolls from Walmart. 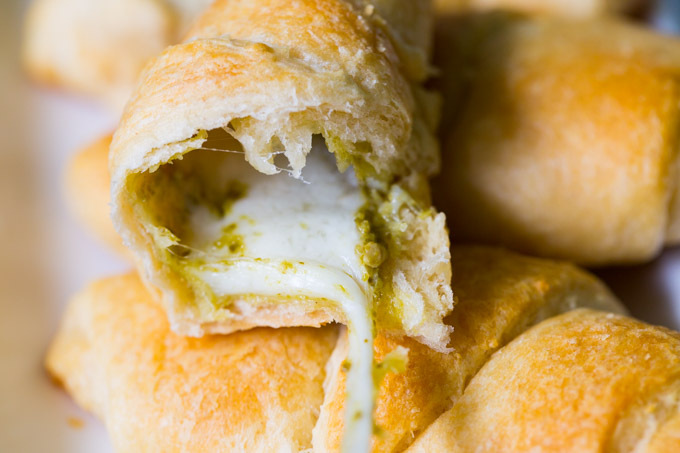 These stuffed crescent rolls filled with mozzarella and pesto are easy to make! Just fill, roll, and bake for a tasty, cheesy bread to accompany your meal. Lay out the triangles of crescent roll dough. Cut each piece of cheese into 4 pieces. Fold or cut each piece into 4 smaller pieces. You will have 8 small stacks of 4 tiny slices each. 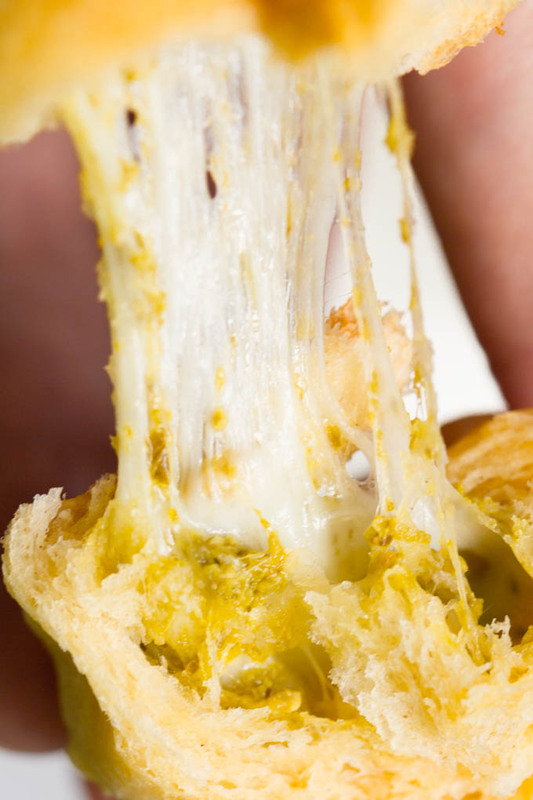 Place 1 teaspoon of pesto in the center of the widest part of the triangle of crescent roll dough. Place a small stack of mozzarella cheese on the pesto. Roll the crescent roll up, starting at the wide end, wrapping over the filling and ending with the small end wrapped around and tucked underneath. Bake for 9 to 12 minutes, until crescent rolls are golden brown and the cheese inside has melted. I used Pillsbury Crescent Rolls, 8 count in an 8 ounce package, to make this recipe. 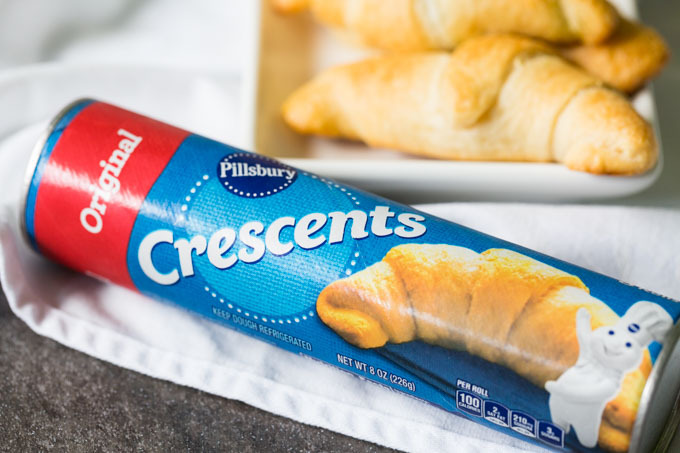 Don’t forget to pick up your Pillsbury™ Original Crescent Rolls at Walmart! Can you use other kinds of mozzarella, or just low moisture? Low moisture is best because it melts more smoothly and is less wet (thus “low moisture”). Other kinds of mozzarella will work in a pinch, but stick with low moisture if possible. Can you use mozzarella string cheese instead?